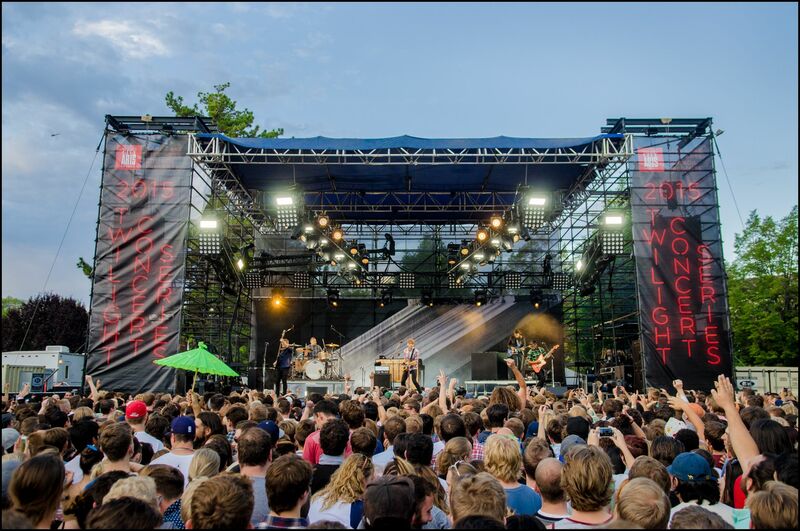 As a long-time Partner sponsor, XMission has loved watching the Twilight Concert Series grow from a blanket event into a most beloved, summer-in-SLC tradition. We appreciate the hard work of the Salt Lake City Arts Council, who bring diverse, emerging artists to our beautiful downtown Salt Lake City every year. Advance tickets are $5. You can also purchase tickets day-of-show for $10. You’ll want to read all about ticketing options. In addition to the bands, Twilight also features a number of SLC/UT eateries and vendors. When you attend a concert, please take a walk around the park and support these incredible, local businesses. Be sure and stop by the XMission booth before the St. Vincent concert on August 27! We really enjoy visiting with customers, friends-of-XMission, and, of course, anyone interested in our services!